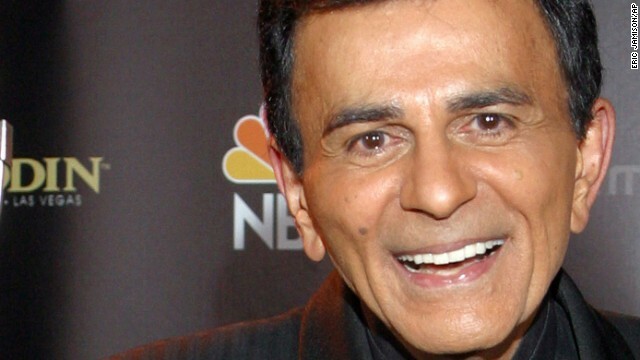 Casey Kasem, who entertained radio listeners for almost four decades as the host of countdown shows such as "American Top 40" and "Casey's Top 40," died early Sunday, June 15, according to a Facebook post from his daughter Kerri Kasem. 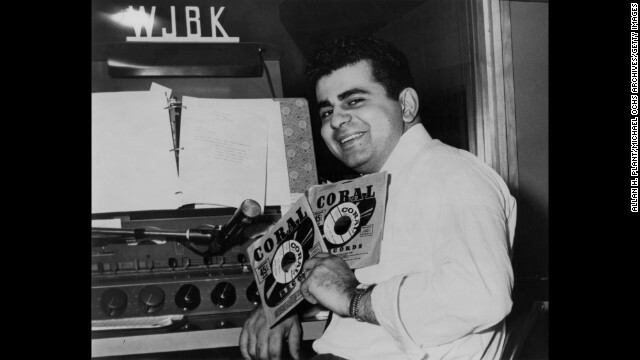 Kasem, the legendary DJ, host and voice-over talent, was born in Detroit and got his start at Michigan radio stations. Here he is in the DJ booth at Detroit's WJBK in 1957. Kasem moved to the West Coast in the early '60s. 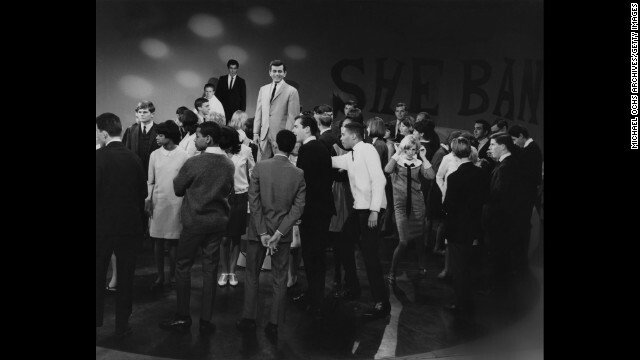 He hosted the KTLA music show "Shebang!" in Los Angeles in 1965. Kasem was also an actor, though his films weren't necessarily Oscar material. 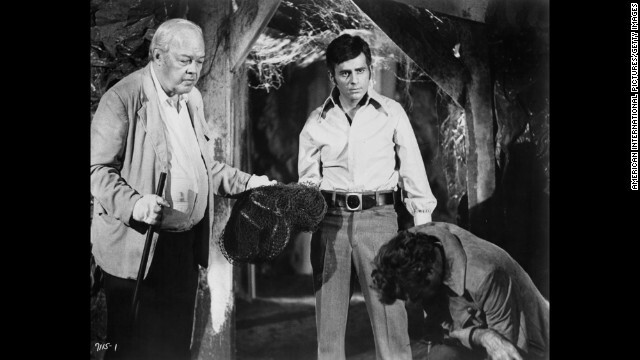 In 1971, he starred in "The Incredible 2-Headed Transplant" with Berry Kroeger, left, and Bruce Dern. He made occasional TV guest appearances as well. "The Mystery of the Hollywood Phantom," an episode of "The Hardy Boys Mysteries" in which Kasem affected a Columbo-like persona, also starred Pamela Sue Martin (as Nancy Drew) and Parker Stevenson (as Frank Hardy). Kasem married Jean Thompson in 1980. 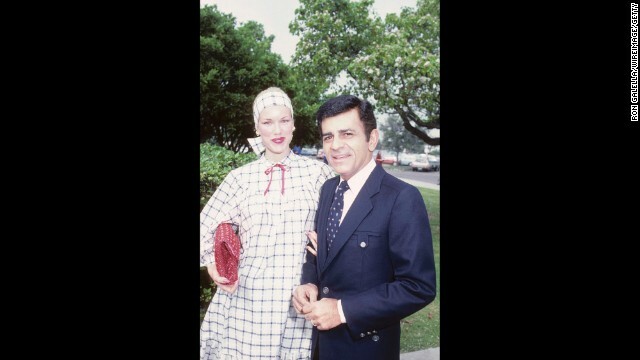 Casey and Jean Kasem attend the 21st Annual International Broadcasting Awards in Century City, California, in 1981. Casey and Jean Kasem are shown with children Kerri Kasem, Michael Kasem and Julie Kasem at the Lebanon-Syrian American Society of Greater Los Angeles Man of the Year Awards in Beverly Hills, California, in 1985. The children are all from Casey Kasem's first marriage, to Linda Myers. 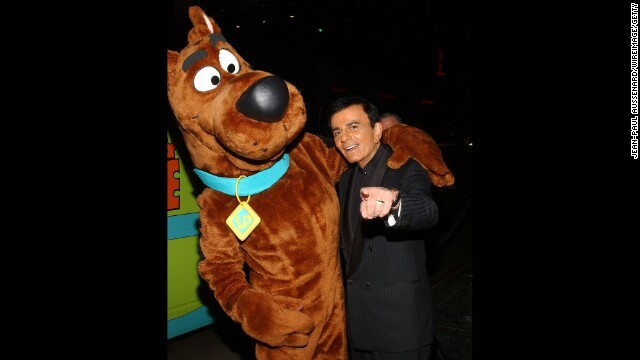 Casey and Jean Kasem were frequent participants in the Hollywood social circuit. Here, they attend the Stars 'N Hearts Benefit Fund-raiser for Animals in 1982. Kasem was an in-demand voice-over artist. He's probably best known for supplying the voice of Shaggy in the "Scooby-Doo" cartoon series. Kasem hosted a number of countdown shows, including "American Top 40," "Casey's Top 40" and "America's Top 10." He handed off "AT40" to Ryan Seacrest in 2004. 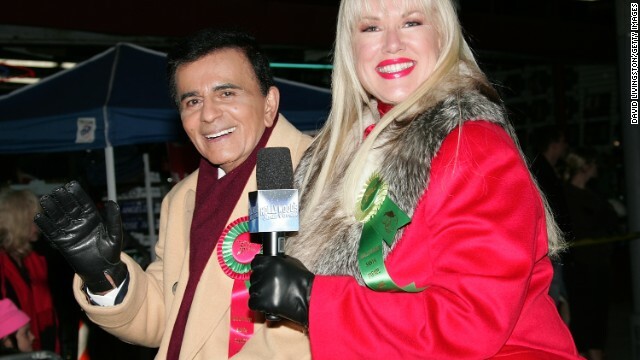 Casey and Jean Kasem ride in the 2007 Hollywood's Santa Parade in Hollywood, California, on November 25, 2007. Even after leaving his long-running radio shows, Kasem stayed active. He attended Fred Segal's birthday charity event and auction at a private residence in Malibu, California, on August 29, 2009. (CNN) -- "Keep your feet on the ground, and keep reaching for the stars." That signature sign-off of Casey Kasem's was recalled by fans of his syndicated weekend radio show "American Top 40" Sunday after the legendary disc jockey died at the age of 82. 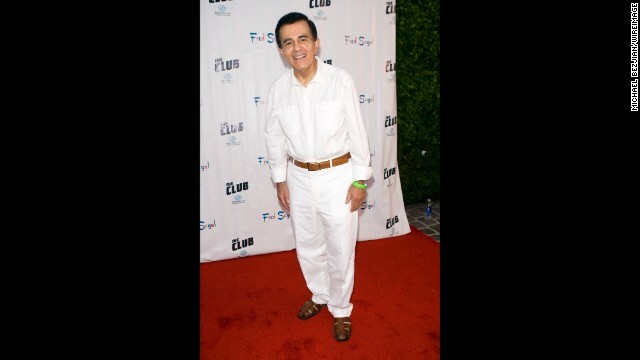 Kasem began that show in 1970 and hosted it and variations of it until finally ending his radio career in 2009. But for more than just those encouraging words, Kasem will be remembered for helping to elevate the radio disc jockey gig to one of storyteller and observer of the human condition. Fans would write in to his show for "long-distance dedications" -- requesting a song for a loved one, a friend or a personal connection far away. In his smooth baritone voice, Kasem would begin "Dear Casey" and proceed to tell tales that ranged from heartbreaking to inspirational. The dedications poured in from around the world. In 1986, Kasem read a dedication request from a woman in Kuala Lumpur, Malaysia, who wanted to honor her sister who -- despite suffering paralysis -- was studying for her master's degree in the United States. "I'm so proud of her, not only for her achievements, but proud of her will and toughness and of her stubborn determination to pick up the pieces and start all over again when most of us would break down and quit," Kasem read. "Casey, could you kindly play 'Broken Wings' for my sister Ayesha at Oklahoma State University? I do hope she's listening, for this is a message from those who love her, all the way from home here in Malaysia." Kasem got personal after the death of Beatle John Lennon. The DJ offered up moving words in 1980 after Lennon was gunned down near his New York City apartment by Mark David Chapman. "But John died having discovered who he was," Kasem said. "John Lennon, husband to Yoko, father to Sean [Lennon's young son with wife Yoko Ono]." The role of music orator was one Kasem took very seriously. "It's so simple: what do people love?" Kasem said to the New York Times in a 1999 article. "Plato said it best. 'People who tell the stories rule society.' And we tell the stories, and people love to hear the stories. Of course, we've got tremendous responsibility to become accurate with those stories. And in most cases to be wholesome." On Sunday, the "AT40" website posted a tribute to Kasem. The site for the program, now hosted by Ryan Seacrest, included audio clips of Kasem on the show throughout the years.